The famous Sikh pilgrimage to Hemkund Sahib will commence on this Sunday. From last 1 year, preparations are being done in full swing. 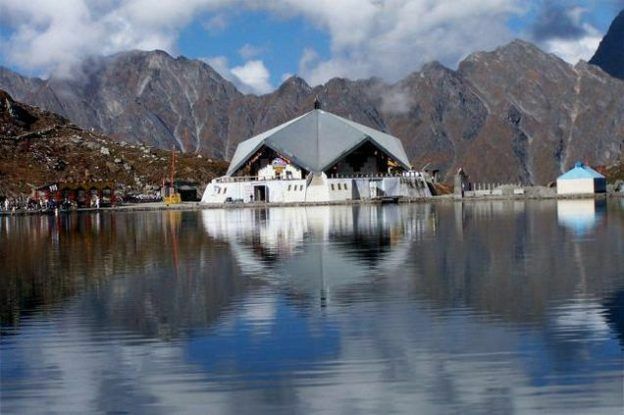 Govindghat Gurudwara, which is around 20 kilometers away from the shrine, and construction of the 20 kilometer long trek route from the Gurudwara to Hemkund Sahib made the Yatra feasible this year. The Yatra was flagged off from Chamoli district’s Govindghat Gurudwara on Saturday. This year, more than 3,000 pilgrims, who’ve started their trek from the Govindghat arrived Hemkund Sahib on Sunday. Last year, on 17th June, the famous Alaknanda River, which flows beside the Gurudwara, swelled with water that swept away with it, car-parking area, road, almost 50 shops, and parts of the Gurudwara. Till September last year, the Yatra was suspended, after which it was resumed for a short period. Since motor vehicles will not be able to cross the river, pilgrims would either have to walk 20 kilometers stretch from Govindghat to Hemkund Sahib. They could use mules, he added.